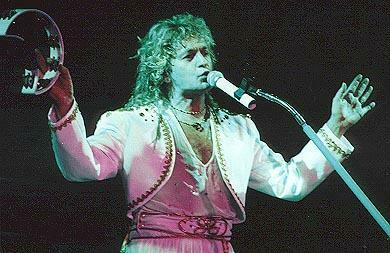 Jon Anderson, the voice of Yes. With his distinct upper register and his incredible ability to write songs of majestic legend, Jon Anderson has long been an artist of extreme importance. I recently had a chance to speak with Jon about his current solo effort, Survival and Other Stories, as well as his many years in Yes. As you read our conversation below, you will come to find that Jon Anderson, at the age of 66, is still a confident and prolific force in the music business. Dr. Music: First off, how is your health? Jon Anderson: Very very good, thank you. DM: Great! That’s the most important thing. We were worried about you there for a little while. JA: It’s everything, actually. Without your health where you going? Nowhere. DM: How is the tour going, health-wise? I see that you’re doing every other night at times. JA: Yeah, every other night, every couple of nights. It’s okay. The amazing thing is, I’m spending more time on stage singing and talking than I’ve ever done with Yes. It’s nearly a two hour show. You put that into the framework of I’m singing and talking for two hours really, it’s amazing. DM: It’s not taking a toll on your voice at all? JA: Not at all. It’s just me and my wife Jane and a couple of guitars, a ukulele, a car, and that’s the show. No pressure. DM: Let’s talk about the new album, Survival and Other Stories. It came together in a very unique way, using online technology. Can you explain the process you used, and what inspired you to put the album together that way? JA: Well, it’s now five years ago. I didn’t get much feedback from the guys in the band to do any songwriting by the internet. I just thought it was such a useful tool, because we all lived in a different part of the world. So I just decided, I’ll put an offer on my website. There’s got to be people out there that want to work with me. I finished up with hundreds of people sending me emails with one minute of their musical ideas. And out of that many people you gotta pick out some people that really understand, you know. First of all, they got on my website so they knew who I was. And, there are some very talented people out there. So, this album, Survival, is the first compilation. There’s three compilations. The guys would send me music, then I’d write the song and the lyric and then send it back to them, and they’d re-organize the mix a little bit or whatever. They’d send it back and we’d say, “Hey, that’s good,” and then they’d send me the files, then I would mix it here in my studio. DM: We’re going to get two more discs in the next two years, I understand? JA: Yeah, and more. I’m actually finishing a piece now which I want to put out, probably, later this summer. DM: You’re going to put that out as a single? JA: No, it’s twenty minutes long. It’s an opus. I call it a hopeless opus. (laughs) It’s sort of structured. I always liked structure when I worked with Yes. I like to put music into composition, if you like. DM: Is there a significance to the tree on the cover? I notice the Anderson/Wakeman CD, The Living Tree, has a similar tree on its cover. JA: Yeah, coincidence. We did the covers at the same time. The one tree is the significance of the survival of a tree in the desert or a very blank landscape, whereas the tree for The Living Tree is more about the music and the energy that comes out of a tree, which is indefinable, because we don’t know much about the nature of nature, super nature. Trees give us oxygen, of course, but they also give us a lot of information that we don’t understand ....we don’t use much of our brain. (laughs) That’s why in the painting there’s Einstein’s Theory of Relativity within the tree. I think we get a lot of knowledge from nature that we don’t quite accept or understand, shall we say. DM: I see on your website that you are seeking film people. Do you have any working concepts? JA: Yeah. Everything I’m doing from this moment on is being visualized, and that’s what I’m really into. I think it’s the way to go, because in the old days we used to have - what was it called - “album covers.” The idea is, you get not so much album covers anymore, so why not create visual art to go with your work. That’s what I’m thinking. More or less, people want to “see” the music like they used to in the old days with a big album cover. So, that’s what I’m working on at the moment. DM: Will there be a DVD of visuals for the songs on the current Survival and Other Stories CD? DM: Moving on to your life with Yes. If you were to expose somebody to Yes music for the very first time, what song would you play for them? 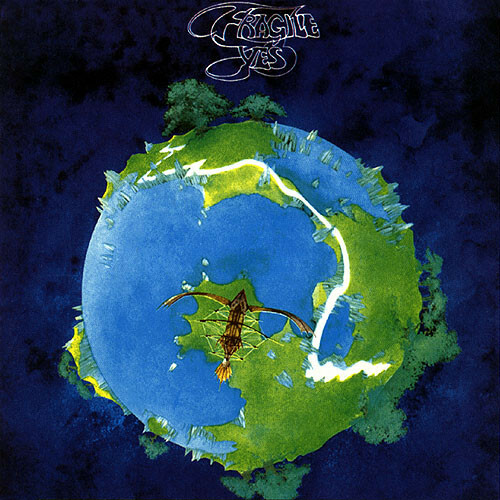 Fragile or “Close To The Edge.” As an album of music, that gives an inspired look as to where Yes, truly, Yes music is. Fragile is a very good album for that. It’s long form music. It doesn’t have any relation to commercial hit record radio. It’s just music that has its own energy and its own uniqueness, if you like. DM: Is that (Fragile) your favorite Yes album? JA: (long pause) No, I like most of them. From “Awaken” on Going For The One.... I love Talk, the Talk album.....90125 was a great album.....and Magnification was a very very good album, the last one we did. DM: In 1988, it is said that you left the band over creative differences and didn’t want to pursue that commercial mainstream sound. JA: No, it was just too many drugs. (laughs) They always say creative differences. It’s something to do with too much partying, not enough music for me. DM: Did you want to get back to that more progressive style of the early years? JA: That’s why I did Anderson/Bruford/Wakeman/Howe, which was very progressive music in any shape, but it was a really good tour as well. DM: Is there any piece of work that you regret doing? DM: Is it true that you wanted to record Tales From Topographic Oceans in the woods? JA: Yeah. I found a beautiful place that I was gonna put up a big tent and record, and have microphones recording the nature around us as we made music. I just had this big thing at that moment that music and nature were very similar. There’s so much music in nature; with birds singing, and the rustle of the trees, and the wind, and the energy, the lightning, the thunder, the rain, whatever. I wanted to incorporate that into the music. And, of course, the guys thought I was crazy, but.... When we got ready to go in the studio I just bought some hay, and some cut-out cows, a sheep, and trees, and put them all up to make me feel like I was in the country. JA: Yeah, of course I was crazy! DM: Of course! That’s what makes it great. DM: You appear on every Yes album except Drama. You rejoined the band a few years after that, and it is said that you refused to perform any of that material. DM: What are your feelings about the Drama album 30 years down the road? DM: Do you feel it’s an acceptable addition to the Yes catalog? JA: Not my idea of Yes. Like the one they’re going to release now. It’s not my idea of Yes. It’ll probably be pretty good, but... If I’m involved in it, my idea of Yes is my understanding of what Yes truly is. DM: For so many people, without Jon Anderson it’s not Yes. You have such a distinct voice. JA: Well, you know, it’s not just the voice, it’s songwriting. I wrote most of the songs for every album. So, they haven’t got that musical stimulus to think “Starship Trooper,” “Your Move,” “Long Distance Runaround,” “All Good People” - all the great favorites of anybody who likes Yes, I wrote them. And then with Steve I wrote “Close To The Edge,” “And You And I,” “Awaken,” you know, “Gates Of Delirium” I wrote the whole piece. Me and Steve wrote all the scores of the music and everything, so if you’re looking for Yes music it’s only natural that I should be helping to create it, BUT.....you know, they’re gonna do what they wanna do. Chris and Steve and Alan - they got their idea of what they want to do, they’re working with Trevor Horn and, you know, we’ll see what they come up with. It’ll be their idea of Yes, which is not mine. DM: It might be great music, just not great Yes music. JA: I don’t know. They’re all very talented people. DM: The Rock And Roll Hall of Fame. Is that something you think about? Is that important to you? JA: No. Eventually, it will happen. DM: Roger Dean’s artwork has always been a huge part of Yes. Can you talk a little bit about that? JA: Roger Dean came in at the beginning of Fragile. I just wanted him to be part of the team, and be part of the stage shows, the designing of the stage and every album and things like that. Not everybody in the band wanted to do that, but that’s what I thought was good to give Yes a texture, to give it a color, to give it a style. DM: I think people think Yes when they see Roger Dean’s artwork. JA: And all you have to do is go and watch Avatar, and there’s Roger Dean. DM: Did Dean’s artwork ever inspire any music? JA: I think it was always the other way around. Well, actually, his artwork made me want to do an album. My first solo album was Olias Of Sunhillow, based on the Fragile album cover. So, that inspired me. DM: I got kind of a strange question for you. When Queen lost Freddie Mercury, they brought in Paul Rodgers with great success. If something similar was to happen with a band such as, say Dream Theater, and you were asked to join, would you entertain that idea? JA: No. (with no hesitation) I’ve had enough of bands. I’m 67 years old this year. I’m not 40 years old looking for a band. I’ve done my thing with bands. I’ll probably tour with some groups of musicians, yeah. I’ve done shows with youth orchestras. I’m doing a concert in two weeks at the Kennedy Center with an orchestra and chorus for the Wounded Warriors Trust. I do different things. I did a concert with a group of musicians two years ago in Slovakia and we made a DVD. It’s going to come out this summer, I think. I do “Close To The Edge” and some Yes songs. So, I’m doing other things with different bands. I’ve worked with the young School Of Rock musicians last year, and I’ve just been mixing the work that we did together. It’s beautiful. These kids, they’re so talented, you know?! DM: And your kids are talented! JA: Oh gosh, yeah. Me and my son, Damion, we’re writing songs together as we speak. DM: Great! Will the writing that you’re doing with Damion be on the next two albums. JA: More than likely, yeah. I think so. DM: Is there anyone else in the music world that you would want to work with? DM: What’s on Jon Anderson’s iPod? What do you listen to when you’re at home? JA: Sibelius. Jean Sibelius, he’s a Finnish composer. Anything by Sibelius ....Stravinski ....I love Rickie Lee Jones ....I like the 40’s .....Norah Jones. There’s always great music and songs and singers and everything, everywhere. Tons of good music. Jon Anderson is an artist in every sense of the word. His knowledge of music is impeccable. For example, during our conversation, Jon expressed his love for ancient Ethiopian music. This was a musical culture that I was not familiar with, and Jon went on to explain a little about what is called Amharic music. He told me to Google “Amharic Old School” and check it out. He described the sound as reggae, ska, and calypso, and told me that reggae and ska originated from this ancient style of music. This is the kind of musical savvy that only the true artists possess. His worldly knowledge and appreciation for art radiated as we spoke. He has a sincere love and appreciation for the world and all its sounds. It really is no wonder that he is adored by millions of fans all over the world. I am humbled and extremely honored to have spent this time with the great Jon Anderson.